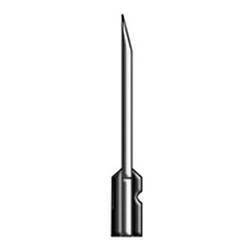 Pioneers in the industry, we offer arrow tag needles from India. Our company has acquired a commendable position in the industry for manufacturing and supplying a wide range of Arrow Tag Needles. These needles are designed by an experienced team of professionals, who are well-versed with the industrial standards. Our range can be availed at reasonable prices in varied grades and dimensions as per the requirements of our clients.